Russia’s largest airline Aeroflot has reported carrying 2.207 million passengers in February, or 11.3% up on the same month last year. The carrier’s year-on-year traffic growth rate slowed down last month from January’s 14.8%. In line with the ongoing trend that manifests itself throughout Russian air transport industry, Aeroflot’s international traffic has been growing faster than its domestic traffic. It surged 16.4% year-on-year in February to 1.170 million passengers, against an increase of 6.1% for passengers carried domestically, to 1.037 million. The combined traffic of Aeroflot Group (which also includes Rossiya, Pobeda and Aurora airlines) has been demonstrating a similar trend. All four carriers served 1.416 million passengers on international routes in February, up 22.4% year-on-year, and 1.814 million passengers domestically (up 6%). The group’s total traffic reached 3.230 million passengers, or 12.6% up on the February 2016 figure. The main driver behind the high traffic growth in the international segment is the current stabilization of the Russian economy, which is stimulating the inauguration of new routes and frequencies. 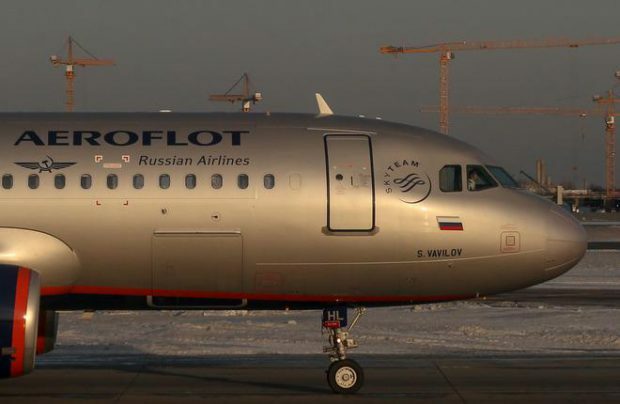 Aeroflot Group has expanded Rossiya’s charter program, served by ex-Transaero widebody airliners, and also Pobeda’s scheduled low-cost network. Despite the crisis, Aeroflot has managed to largely sustain its operational performance results. This contrasts with the rest of the Russian air travel market, which is working to win back the customers lost to the downturn. The average growth rate across the sector stood at 18.3% in February.